There are three major types of natural stone: granite, marble, and travertine. Pricing among natural stones varies a great deal but most natural stones range from affordable to very exquisite and expensive. Granite is a group of natural igneous rocks composed of different amounts of the mineral elements: mica, feldspar, and quartz. This combination creates one of the hardest natural surfaces, forming a product that is durable and permanent. Granite is very difficult to crack or chip and it easily outlasts most homes. In addition to its ability to withstand wear, its natural creation gives rise to unique variations in color, pattern, and movement; each and every slab is one-of-a-kind. Today, granite comes in a wide range of patterns and colors; more exotic colors are found every year. 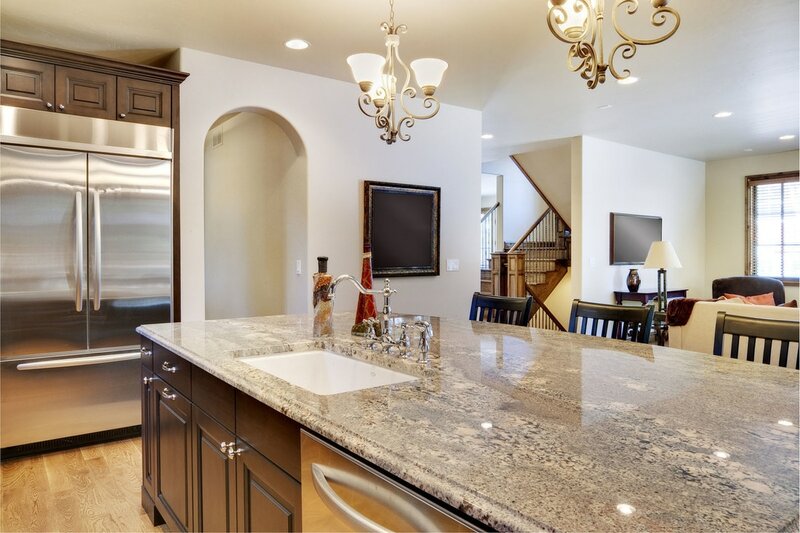 Granite is one of the strongest materials that can be chosen for countertops. It provides ageless elegance and natural beauty that is incomparable. Marble is a type of limestone formed under extreme heat and pressure. Generally, it is light in color, yet dark brown and black marble is also available. One of the greatest challenges with marble is etching and staining when in contact with acidic substances. This can include wine, citrus juice, vinegar and other items that are found in an every-day household. Rapid cleanup of these substances can minimize damage but the risk does exist. As a favorite stone of classic sculptors and architects, marble is often considered a traditional stone. Travertine is another natural stone product with a rich history. The Coliseum in Rome, for example, is constructed of 2000-year-old travertine. The colors of travertine are very similar to classic earthy tones: cream, gold, and beige. Travertine, very similar to marble, can be stained and etched by acidic substances. Caesarstone is an engineered quartz brand based out of California that is fast growing to be one of the most popular on the market with architects, engineers, and homeowners. Caesarstone is available in many colors and includes honed, polished, and textured finishes. 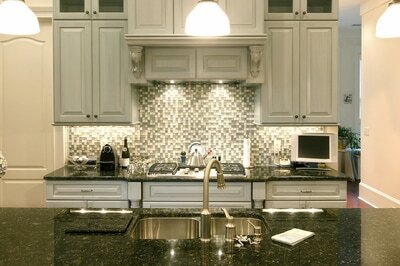 ​Silestone by the Cosentino Group is the worlds leading natural quartz surface. Available in a multitude of colors ranging from earthy browns to stellar reds and greens. Silestone is also available in textured, honed, or polished surfaces. Radianz is Samsung's newest addition to their Staron worktop range and their first entry into the Engineered Quartz Market. Structurally and chemically similar to other quartz products, Radianz brings more colors and more choice to the consumers. 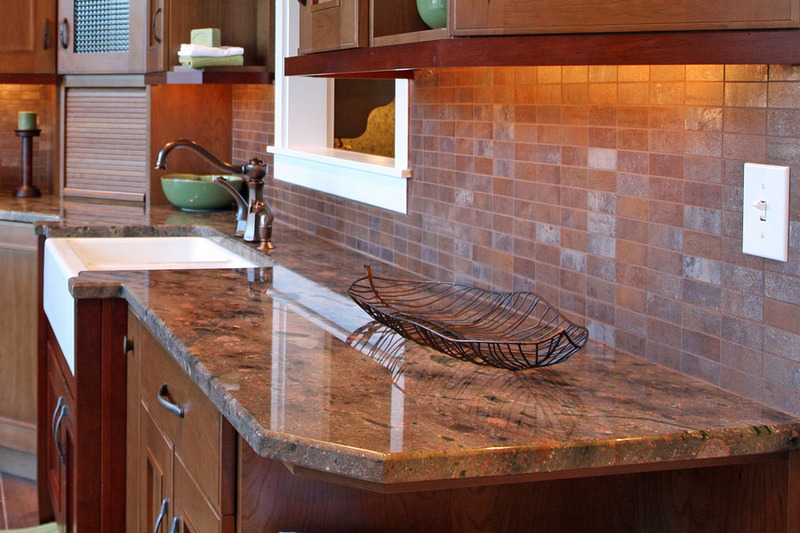 Cambria is an Engineered Quartz Surface manufactured in Le Sueur, Minnesota. With over 90 exquisite and dazzling colors, Cambria is sure to add value and push the boundaries between natural and engineered stone surfaces. Hanstone is an Engineered Quartz Surface provided by Hanwha Surfaces of Canada. Offering over 40 unique colors, Hanstone provides consumers with more choices so they can find exactly what they want in their countertops. Stone World also carries Engineered Marble – a material ideally suited to interior environments and makes it easy to achieve anintegrated look across countertops, tile floors, wall cladding and mosaics.